Phosphorus makes up about 0.5 percent of the newborn infant body 1), and from 0.65 to 1.1 percent of the adult body total body weight 2), 3). It is the second most abundant mineral in the body. It is present in every cell of the body. Most of the phosphorus in the body is found in the bones and teeth 4). Total phosphorus concentration in whole blood is 13 mmol/liter (40 mg/dl), most of which is in the phospholipids of red blood cells and plasma lipoproteins. Approximately 1 mmol/liter (3.1 mg/dl) is present as inorganic phosphate (Pi). 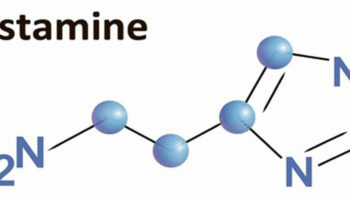 This inorganic phosphate component, while a tiny fraction of body phosphorus (< 0.1 percent), is of critical importance. In adults this component makes up about 15 mmol (465 mg) and is located mainly in the blood and extracellular fluid. It is into this inorganic phosphate compartment that phosphate is inserted upon absorption from the diet and resorption from bone and from this compartment that most urinary phosphorus and hydroxyapatite mineral phosphorus are derived. This compartment is also the primary source from which the cells of all tissues derive both structural and high-energy phosphate 5). Structurally, phosphorus occurs as phospholipids, which are a major component of most biological membranes, and as nucleotides and nucleic acids. The functional roles include: (1) the buffering of acid or alkali excesses, hence helping to maintain normal pH; (2) the temporary storage and transfer of the energy derived from metabolic fuels; and (3) by phosphorylation, the activation of many catalytic proteins. Since phosphate is not irreversibly consumed in these processes and can be recycled indefinitely, the actual function of dietary phosphorus is first to support tissue growth (either during individual development or through pregnancy and lactation) and, second, to replace excretory and dermal losses. In both processes it is necessary to maintain a normal level of Pi in the extracellular fluid (ECF), which would otherwise be depleted of its phosphorus by growth and excretion 6). Phosphorus is so readily available in the food supply so deficiency is rare. Excessively high levels of phosphorus in the blood, although rare, can combine with calcium to form deposits in soft tissues such as muscle. High levels of phosphorus in blood only occur in people with severe kidney disease or severe dysfunction of their calcium regulation. The main function of phosphorus is in the formation of bones and teeth. It plays an important role in how the body uses carbohydrates and fats. It is also needed for the body to make protein for the growth, maintenance, and repair of cells and tissues. Phosphorus also helps the body make ATP, a molecule the body uses to store energy 7). The main food sources are the protein food groups of meat and milk. A diet that includes the right amounts of meal plan calcium and protein will also provide enough phosphorus. Whole-grain breads and cereals contain more phosphorus than cereals and breads made from refined flour. However, the phosphorus is stored in a form that is not absorbed by humans. Fruits and vegetables contain only small amounts of phosphorus. Inorganic phosphates are often added to foods as a preservative. Phosphates are a common additive in many dairy, cereals, packaged meals and other foods. Currently 4.3 percent of food additives contain phosphates, a number that has been on the rise. Inorganic phosphates are generally recognized as safe by the U.S. Food and Drug Administration. However, there’s concern that inorganic phosphates have potential health implications. These additives may have a negative effect on heart and kidney function. It seems that added phosphates are absorbed and processed differently by our body than natural phosphorus found in meat, dairy and vegetables. Additionally, as phosphates are added to more foods and we continue to consume more packaged and processed foods, we may be consuming more than expected. The FDA does not require phosphorus to be reported on the Nutrient Facts Label, but it must be listed as an ingredient. Some are calling for this to change. Perhaps, this is one more reason to eat less processed foods. Food phosphorus is a mixture of inorganic and organic forms. Intestinal phosphatases hydrolyze the organic forms contained in ingested protoplasm, and thus most phosphorus absorption occurs as inorganic phosphate. On a mixed diet, net absorption of total phosphorus in various reports ranges from 55 to 70 percent in adults 8), 9), 10) and from 65 to 90 percent in infants and children 11), 12). There is no evidence that this absorption efficiency varies with dietary intake. In the data from both Stanbury 13) and Lemann 14), this means that there is no apparent adaptive mechanism that improves phosphorus absorption at low intakes. This is in sharp contrast to calcium, for which absorption efficiency increases as dietary intake decreases 15) and for which adaptive mechanisms exist that improve absorption still further at habitual low intakes 16). The fact that fractional phosphorus absorption is virtually constant across a broad range of intakes suggests that the bulk of phosphorus absorption occurs by passive, concentration-dependent processes. Also, even in the face of dangerous hyperphosphatemia, phosphorus continues to be absorbed from the diet at an efficiency only slightly lower than normal 17). Phosphorus absorption is reduced by ingestion of aluminum-containing antacids and by pharmacologic doses of calcium carbonate. There is, however, no significant interference with phosphorus absorption by calcium at intakes within the typical adult range. In the healthy adult, urine phosphorus is essentially equal to absorbed diet phosphorus, less small amounts of phosphorus lost in shed cells of skin and intestinal mucosa 18), 19), 20). This regulation of phosphorus excretion is apparent from early infancy. In infants, as in adults, the major site of regulation of phosphorus retention is at the kidney. In studies of infants receiving different calcium intakes 21), 22), 23), 24), phosphorus retention did not differ even with high amounts of dietary calcium (calcium:phosphorus [Ca:P] molar ratios of 0:6, 1:1, or 1.4:1). Any reduction in absorption of phosphorus due to high amounts of dietary calcium were compensated for by parallel reductions in renal phosphorus excretion 25), 26), 27). The least renal excretory work to maintain normal phosphorus homeostasis would be achieved with human milk as the major source of minerals during the first year of life. Inadequate phosphorus intake is expressed as hypophosphatemia. Only limited quantities of phosphate are stored within cells, and most tissues depend upon the extracellular fluid (ECF) Pi for their metabolic phosphate. When the extracellular fluid Pi levels are low, cellular dysfunction follows. At a whole organism level, the effects of hypophosphatemia include anorexia, anemia, muscle weakness, bone pain, rickets and osteomalacia, general debility, increased susceptibility to infection, paresthesias, ataxia, confusion, and even death 28). The muscle weakness, which involves especially proximal muscle groups when prolonged or severe, can lead to muscle fiber degeneration. The skeleton will exhibit either rickets in children or osteomalacia in adults. In both, the disorder consists of a failure to mineralize forming growth plate cartilage or bone matrix, together with impairment of chondroblast and osteoblast function 29). These severe manifestations are usually confined to situations in which ECF Pi falls below ∼0.3 mmol/liter (0.9 mg/dl). Phosphorus is so ubiquitous in various foods that near total starvation is required to produce dietary phosphorus deficiency. However, movement of sugar into cells pulls Pi into the cells as well. Refeeding of energy-depleted individuals, either orally or parenterally, without adequate attention to supplying Pi, can precipitate extreme, even fatal, hypophosphatemia 30), 31), 32), 33), 34), 35), 36), 37). Such outcomes can occur on recovery from alcoholic bouts, from diabetic ketoacidosis, and on refeeding with calorie-rich sources without paying attention to phosphorus needs. Also, aluminum-containing antacids, by binding diet phosphorus in the gut, can, when consumed in high doses, produce hypophosphatemia in their own right, as well as aggravate phosphate deficiency related to other problems 38). In full-term infants, severe hypophosphatemia from purely dietary causes is virtually unknown. It is likely to occur only in situations of poorly managed parenteral nutrition (in which intakes of phosphate are inadequate), with inappropriate administration of fluid and electrolyte therapy (which causes excessive renal phosphorus loss), or with rapid refeeding after prolonged dietary restriction 39), 40). In the case of severely malnourished infants, especially with accompanying severe diarrhea, hypophosphatemia has been reported with an associated hypokalemia and hypotonia 41). 1. ↵ Fomon SJ, Nelson SE. Calcium, phosphorus, magnesium, and sulfur. In: Fomon SJ, editor. Nutrition of Normal Infants. St. Louis: Mosby-Year Book, Inc.; 1993. pp. 192–216. 3. ↵ Diem K. Documenta Geigy. Ardsley, NY: Geigy Pharmaceuticals; 1970. 8, 14, 19. ↵ Lemann J Jr. Calcium and phosphate metabolism: An overview in health and in calcium stone formers. In: Coe FL, Favus MJ, Pak CY, Parks JH, Preminger GM, editors. Kidney Stones: Medical and Surgical Management. Philadelphia, PA: Lippincott-Raven; 1996. pp. 259–288. 9, 20. ↵ Nordin BEC. Phosphorus. J Food Nutr. 1989;45:62–75. 10, 13. ↵ Stanbury SW. The phosphate ion in chronic renal failure. In: Hioco DJ, editor. Phosphate et Metabolisme Phosphocalcique. Paris: Sandoz Laboratories; 1971. 11. ↵ Wilkinson R. Absorption of calcium, phosphorus, and magnesium. In: Nordin BEC, editor. Calcium, Phosphate and Magnesium Metabolism. Edinburgh: Churchill Livingstone; 1976. pp. 36–112. 12, 24. ↵ Ziegler EE, Fomon SJ. Lactose enhances mineral absorption in infancy. J Pediatr Gastroenterol Nutr. 1983;2:228–294. 18. ↵ Bijvoet OLM. Relation of plasma phosphate concentration to renal tubular reabsorption of phosphate. Clin Sci. 1969;37:23–26. 26. ↵ Fomon SJ, Nelson SE. Calcium, phosphorus, magnesium, and sulfur. In: Fomon SJ, editor. Nutrition of Normal Infants. St. Louis: Mosby-Year Book, Inc.; 1993. pp. 192–216. 30. ↵ Bushe CJ. Profound hypophosphataemia in patients collapsing after a “fun run” Br Med J. 1986;292:898–899. 31. ↵ Dale G, Fleetwood JA, Inkster JS, Sainsbury JR. Profound hypophosphataemia in patients collapsing after a “fun run” Br Med J (Clin Res) 1986;292:447–448. 39. ↵ Koo W, Tsang R. Nutrition During Infancy. 2nd Edition. Cincinnati: Digital Education; 1997. Calcium, magnesium, phosphorus and vitamin D; pp. 175–189.